I started my look back at one-hit wonders on the Australian singles chart in the '80s and '90s because I was frustrated with music channel programmers and various artist CD compilers including acts that blatantly weren't 1HWs on their lists. And, as we've discovered, there were more than enough genuine 1HWs in both decades - no matter if you take a strict (one number 1 hit only) or more relaxed definition (one top 10 hit only) of what it takes to be a 1HW. As I did with the '80s, I'll now look back at several artists who hit the top 10 twice then had no further top 50 hits - in other words: two-hit wonders. Many of these acts are often wrongly included on 1HW lists because the second hit is forgotten for whatever reason - but I'll restore their proper status here. There are a couple of potentially contentious inclusions, but as always, the chart facts don't lie. Here's one of those tricky inclusions - since Big Audio Dynamite II was, as the name suggests, the sequel to Big Audio Dynamite, who landed two minor chart hits ("The Bottom Line", number 34 and "E=MC2", number 47) in 1986. But, as the name BAD II also implies, it was a different entity from the original band, with former Clash guitarist/singer Mick Jones the only common member. For me, it's the equivalent of DJs/producers who release records under more then one alias - since the name on the record is different, it's a separate act. Every so often, Australia will embrace an international artist that no one else seemingly has any time for. Toni Childs. Paul Lekakis. Icy Blu. And, in 1993, American soul/rock band Sonia Dada joined those ranks out of nowhere with a four-week chart-topper (which spent seven weeks before that at number 2) and a follow-up that also did pretty well. Then, we lost interest just as quickly. Hit 1: "You Don't Treat Me No Good"
Hit 2: "You Ain't Thinking (About Me)"
The second hit was a long time coming, but British soul singer Gabrielle Bobb eventually got there with a song taken from the soundtrack to Bridget Jones's Diary. It was also a new track on Dreams Can Come True, Greatest Hits Vol. 1, since at home in the UK, the BRIT Award winner has a tally of 10 top 10 hits. Hit 2: "Out Of Reach"
Proving the adage "if at first you don't succeed, try, try, try again", D:Ream's two Australian top 10 hits were released multiple times in the UK before finding their mark. Indeed, "U R The Best Thing" followed the proverb to the letter, taking three releases to hit the UK top 5. Things were a bit simpler for the dance act in Australia, where their overseas success easily led to a brace of number 9 hits. Hit 1: "Things Can Only Get Better"
Hit 2: "U R The Best Thing"
Here's another act that Australia took to its bosom when even the singer's home country weren't that fussed about his brand of high-energy cover versions. First hit "Sky High" was originally recorded by Jigsaw (or British Jigsaw as they were known in Australia since we already had our own band called Jigsaw) in 1975, while "Sometimes When We Touch" was a 1978 hit for Dan Hill. Fun fact: Newton's real name is Billy Myers. Hit 2: "Sometimes When We Touch"
A year earlier, they'd landed two chart hits (a number 2 and a number 22) as Jam & Spoon, but in 1995, German duo Rolf Ellmer and Markus Löffel did even better - making it into the top 10 with their first two singles in this guise. Shocking name, though. Hit 1: "Everybody On The Floor (Pump It)"
Hit 2: "I Kiss Your Lips"
Jamaican singer Diana King has a couple of big Hollywood films to thank for her top 10 singles. "Shy Guy" featured in the Will Smith/Martin Lawrence action comedy Bad Boys - and there's a link to an alternate video featuring scenes from the film in the song title. Meanwhile, "I Say A Little Prayer" was on the soundtrack to Julia Roberts rom-com My Best Friend's Wedding - and there's a link to the official video for that in the song title, although I always preferred the widely played Love To Infinity mix of the song. Hit 2: "I Say A Little Prayer"
Our second contentious inclusion on this list - since everyone would assume the Spanish duo behind the world's highest-selling single of 1996 to be a one-hit wonder. And yet, they had two separate top 10 hits in Australia. 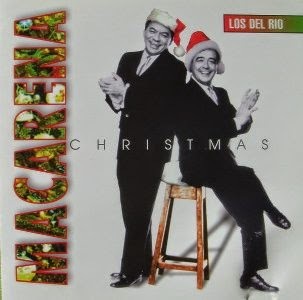 Yes, the second is a different version of "Macarena", but it's more than just a remix - with additional festive lyrics added. Add to that the rival version of "Macarena" by Los Del Mar and three separate chart hits resulted from the dance craze that year. A boy band (or vocal harmony group, if you insist) with more personnel changes than your average girl group, Az Yet had the added bonus of being backed by producers LA Reid & Babyface. And, on the second of their two hits, "Hard To Say I'm Sorry", they received the blessing and vocal input of original vocalist Peter Cetera. Az Yet returned their favour, featuring on a new version of "You're The Inspiration" for Peter's next album. Hit 2: "Hard To Say I'm Sorry (featuring Peter Cetera)"
So there we have it. At some point, I'll tackle one-hit wonders of the '00s but I might need to recover from the musical abominations I rediscovered on this journey through the '90s first. As usual, it's back to 1989 this Wednesday for my look back at the ARIA chart of 25 years ago. Sonia Dada recycled the same artwork for both singles *and* the album, I recently learned. Maybe it was the kid riding the crocodile sleeve that had Australia buying their output in droves? Somewhat curiously, I hadn't heard either single until they entered the chart... a few weeks later for 'You Don't Treat Me...' as the video wasn't available yet when it first dented the rage top 60. I had to tune into Take 40 Australia to hear the song for the first time. Each release of D:Ream's 'U R the Best Thing' had a different video to boot, thought the second re-used some footage from the first one. 'Things...' had 2 different videos, too. There was a video (re-using the same footage) for the remix version of Diana King's 'I Say a Little Prayer'.